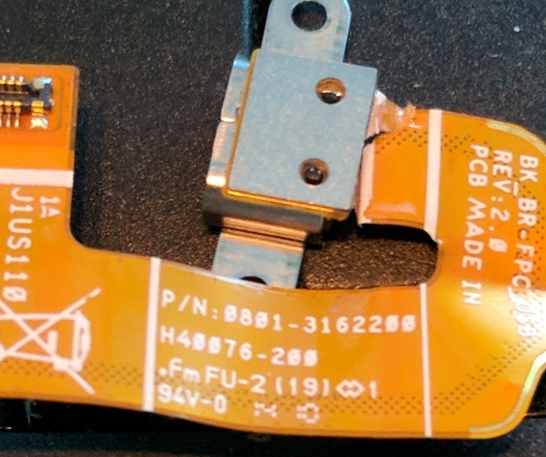 Is it possible to order one specific internal part for my DELL Venue 8 7840 tablet? I need this part: Micro-USB port with flex ribbon connector. Where can I order? My tablet is in pieces on my desk, it only lacks this piece to restore it. Dell is not going to have any internal parts for any Venue or tablet. We simply exchanged the whole unit while under the purchased warranty. Hi Chris and thank you for your reply. So basically what you are saying is I bought a premium device with a premium price and after roughly 2 years I have to throw it in the recycling bin because DELL can not supply parts to fix our devices with a very well known and widely discussed charging problem? Dell has never offered tablet parts. That was very well known in the market. We did offer sales options to extend the purchased warranty beyond the inital purchased warranty period. Most users did not choose to do this.